Andhra Pradesh Public Service Commission (APPSC) has announced results for various posts like Assistant Architectural Draughtsman (AAD), Surveyor, Deputy Surveyor and Inspector of Factories posts. 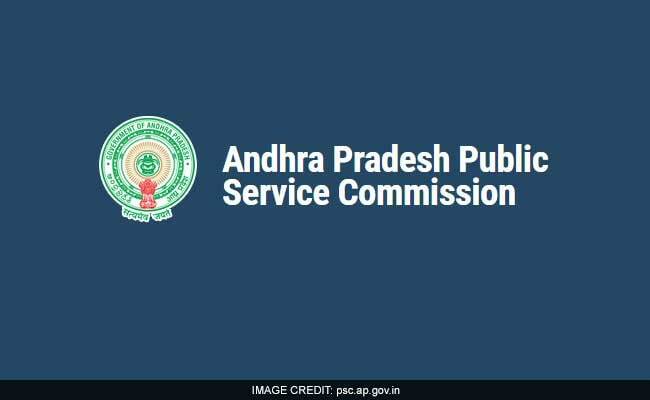 New Delhi: Andhra Pradesh Public Service Commission (APPSC) has announced results for various posts like Assistant Architectural Draughtsman (AAD), Surveyor, Deputy Surveyor and Inspector of Factories posts. The Commission has also given document verification schedule for each of the posts mentioned above. For Inspector of Factories post, the verification is scheduled for 14 June 2017; no update has been given for other posts. Verification of original certificates by the Board will be held at the Commission's Office, Prathibha Bhavan, M.J.Road, Nampally, Hyderabad-500001. The Commission has selected 300 candidates in total for the document verification process. APPSC had conducted examination at 13 districts of Andhra Pradesh and Hyderabad in Telangana State for Assistant Architectural Draughtsman, Surveyors in A.P. Town and Country Planning Subordinate Service and Deputy Surveyor in A.P. Survey and Land Records Subordinate Service (General Recruitment) and Inspector of Factories in A.P Factories Service. Candidates should go through the official notification released by APPSC at psc.ap.gov.in for more details in this regard.